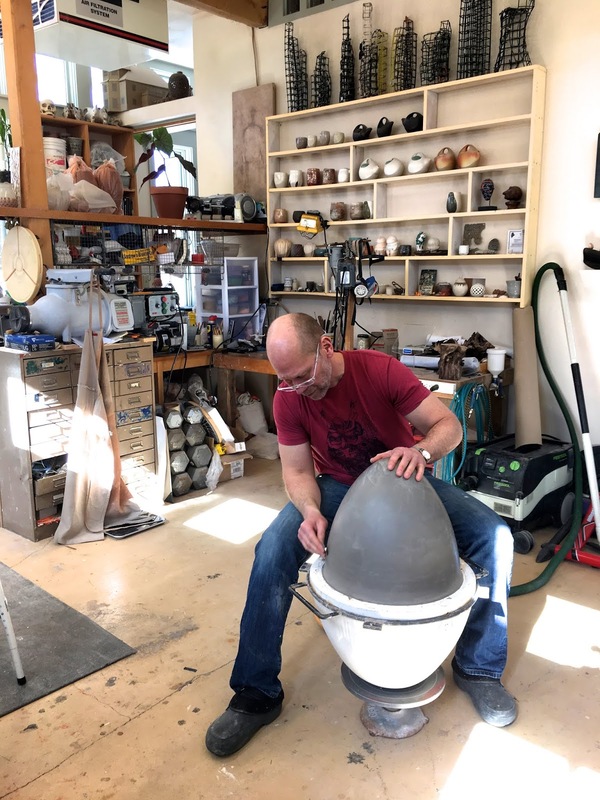 May 4th & 5th 2019 39 ceramics studios in Maine! 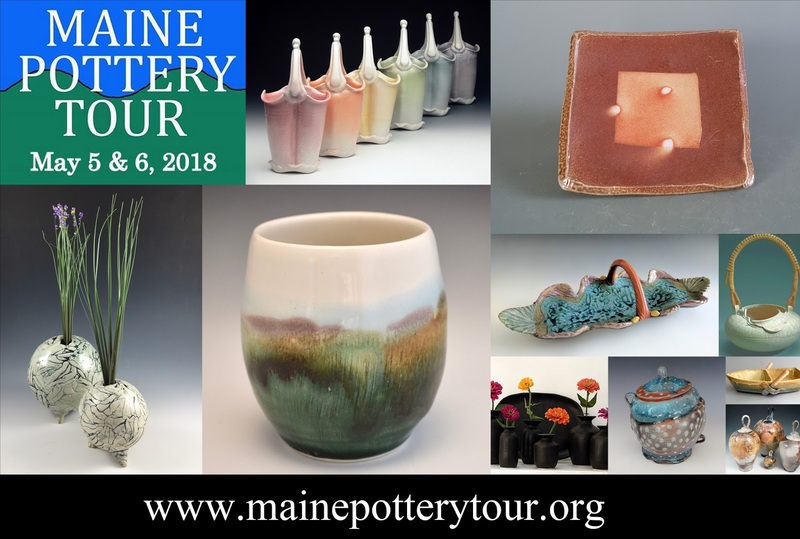 Watch potters at work, peek in the kilns, shop for pottery and other fine handmade goods, all while enjoying a roadtrip around Maine! 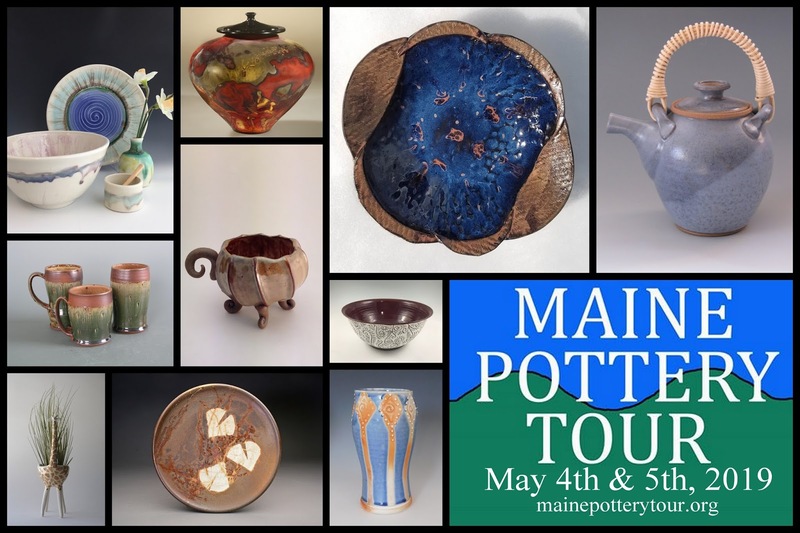 The 8th annual Maine Pottery Tour is happening Saturday and Sunday, May 4th &5th, 2019. 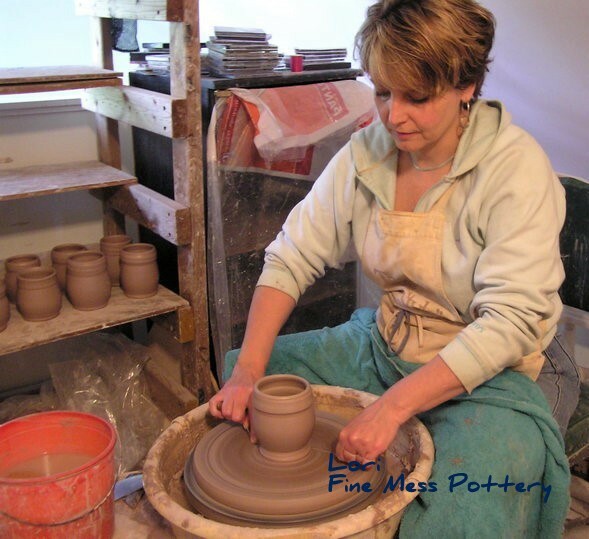 Please join us to visit studios, meet the artists, and shop for great handmade Maine pottery. 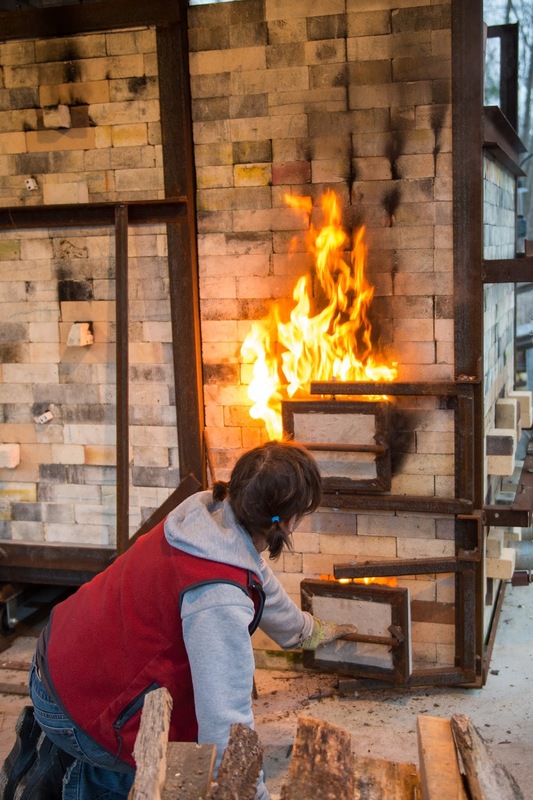 Dozens of studios in throughout the state will be taking part in this event. Watch this space for maps and other information about the artists and events making up this great weekend! 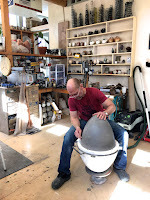 The 2019 Maine Pottery Tour postcards are on their way! The postcards themselves have become something of a collector's item. This year's card features the work of 10 artists, representing a slice of what you might see on the tour. If you want to get on the mailing list, give me a shout at info@finemesspottery.com. For an online map of the full tour, click here. Click the links for a printable map of the Central, Coastal, or Southern regions of the tour. 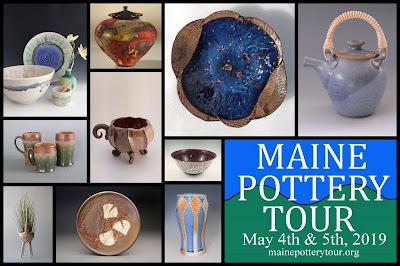 The refrigerator-worthy Maine Pottery Tour postcard is coming soon to a mailbox near you! Save the card to save the dates. Looks like we will have a number of new studios on the tour this year! Altogether there will be 44 studios on the tour this year, the largest we've ever had. 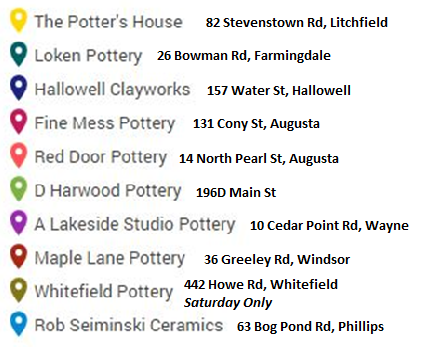 See all 44 stops on the online map to plan your pottery tour road trip! Hope to se you May 6 & 7th! 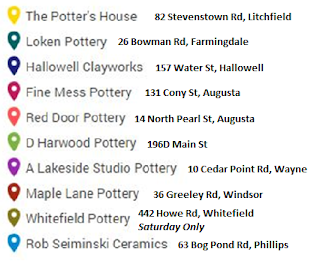 To help you plan your pottery road trip, we've divided the tour into three regions. Download your printable map now & decide where you'd like to visit! 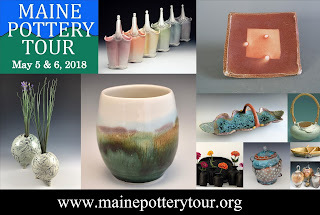 Sponsor the Central Maine Pottery Tour! Want to join the tour? Shoot me an email at info@finemesspottery.com to have your studio added to the list!